Hang your gong in style with Gibraltar's chrome series curved gong stand. 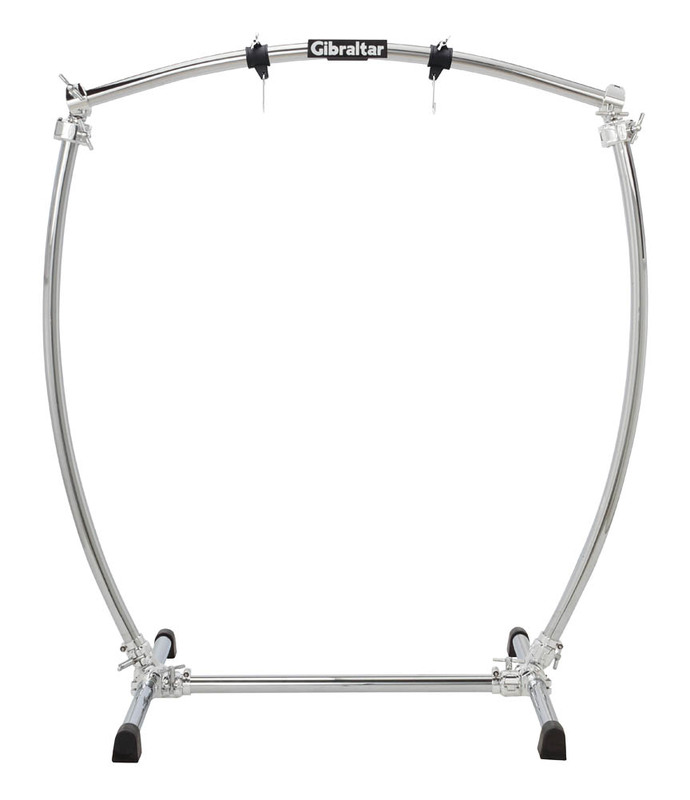 Made with curved bars and chrome clamps; this heavy duty stand can hold up to a 40″ gong; and is designed to replace the traditional square; black gong stand. Whether you are using it in an orchestral; percussion; or drum set situation; you can be sure that this rock solid stand will not only support your gong; but will elevate your stage presence.